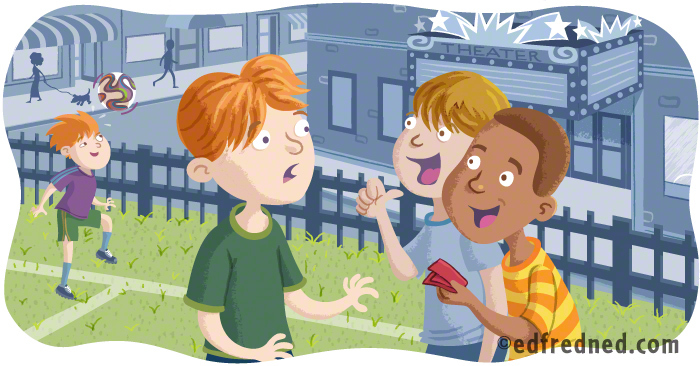 Illustration for Scholastic News for 4th graders. Sticky Situation: Your friend invites you to play soccer with his friends. His friends invite you (and not your friend) to a movie. What do you do?